A0-di, Taipei County, Taiwan. 1998. 3. 12. Photo by Huang Su-fang, National Taiwan Museum, from http://www.ntm.gov.tw/seaweeds.. Huang Su-fang. © Sue Huang (sfhuang@ntm.gov.tw). Marginisporum aberrans (Yendo) H.W.Johansen & Chihara A0-di, Taipei County, Taiwan. 1998. 3. 12. Photo by Huang Su-fang, National Taiwan Museum, from http://www.ntm.gov.tw/seaweeds. Published in: Johansen, H.W. (1969). 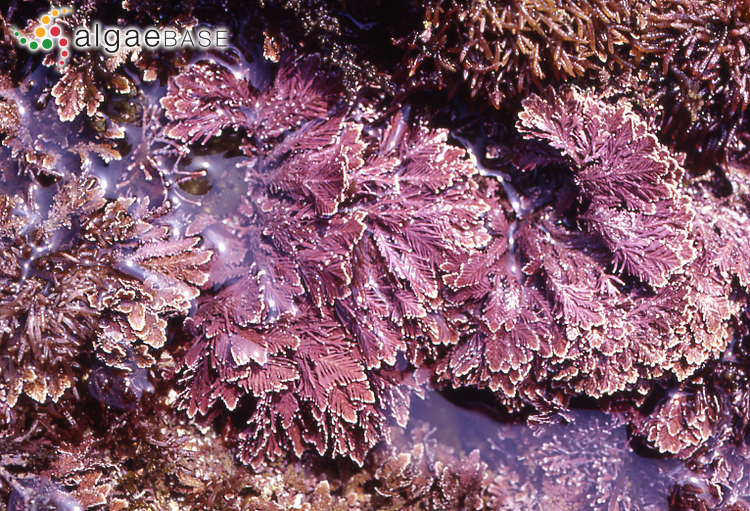 Morphology and systematics of coralline algae with special reference to Calliarthron. University of California Publications in Botany 49: 1-98, 33 figs, 2 tables, 19 plates. The type species (holotype) of the genus Marginisporum is Marginisporum crassissimum (Yendo) Ganesan. 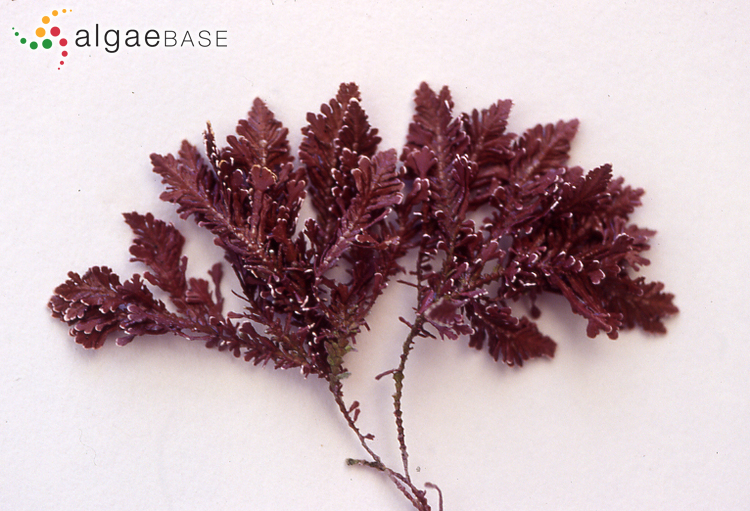 Syntype localities: Japan: Misaki; Boshu; Shimoda; Prov. Hiuga: Prov Wasaka: Prov. Echigo (Silva 1996-to date). Type: Yendo 1902: pl. V: figs 1-3: (Silva 1996-to date Notes: Lectotype fide Yoshida & Baba 1998 (INA). Lectotype: Yendo 1902: Pl. V: Fig. 3 (Hind & Saunders 2013: 107). Participle B (Latin), aberrant, departing from the usual (Stearn 1973). Accesses: This record has been accessed by users 1494 times since it was created.